NW corner of 61st Ave & Bell Rd @ the Paseo Medical Plaza inside Serenity Salon Suites. Fallow on Instagram & Facebook! Low, Mid or High Fade. Includes Quick Styling of your hair with Product. Hot Towel. Straight Razor Clean Up & Shoulder Massage. Lather & Hot Towel. Aftershave to close pores. Includes Styling of your hair with Product. Finishing with a Shoulder Massage. No Fading, 1 length clipper all over. 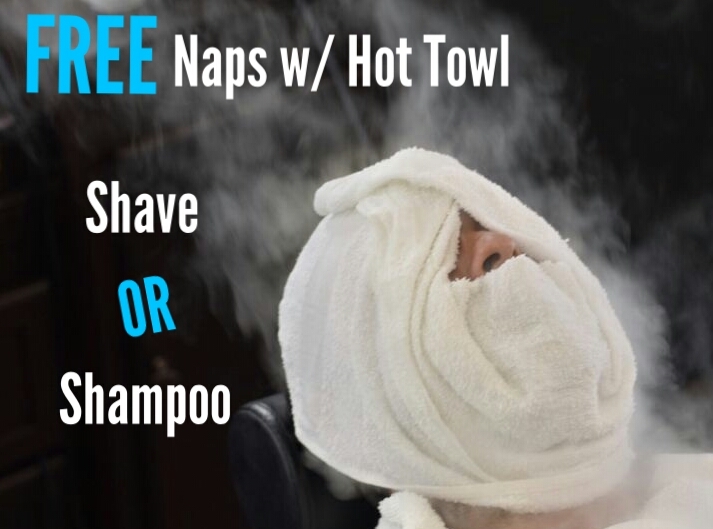 Includes Straight Razor Edge Up, Hot Towel & Shoulder Massage. Chin langth or shorter! Includes Hot Towel, Styling of your hair with Product. Straight Razor Edge Up & Shoulder Massage. Below the chin or shoulder length. Includes Hot Towel, Styling of your hair with Product. Straight Razor Edge Up & Shoulder Massage. Hair longer than shoulder length. Includes Straight Razor Edge Up if necessary, Hot Towel & Shoulder Massage. Clean up along the entire hairline and face. Hot Towel and Shoulder Massage. Razor is optional on Cheeks ONLY Trimming or Blending. Blow dry is NOT included. Please see add on services. Trimming & Blending or Fading of the Beard. Straight Razor Clean Up on Cheek & Neck with a Hot Towel. Finishing with product if necessary & shoulder massage. Blow drying of the beard is NOT included. Please refer to Add On Services. Choose a Peel Off Black Mask with Volcanic Ash or Detoxifying Charcoal + Black Sugar Mud Mask. Face Scrub/Massage with Exfoliation using a Face Scrub and Hot Towel. Extractions are fallowed if necessary. Ending with a Face Mask to soften skin and close pors. Finishing with a Shoulder Massage. Includes Massage, Straight Razor Edge Up Optional. Bring a Design or I'll Freestyle it! Price depends on design and detail. Includes Straight Razor to make it POP! Includes a Hot Towel & Scalp Massage, finishing with a shoulder massage & styling of your hair with product suited for you. A two part hair straightening system that offers straight hair for 60-90 days at a time. Blow Drying and Styling of the Hair or Beard with use of product. Price starting at $10. Finishing with a Shoulder Massage. Final Price will be given after consultation otherwise, Color is $100 an hr.